This latest selection of old and rare whiskies sees Angus MacRaild exploring a disparate trio of drams spanning a considerable stretch of decades, styles and geography – a neat reminder of just how much variety and stylistic diversity is to be found in whisky’s back catalogue. 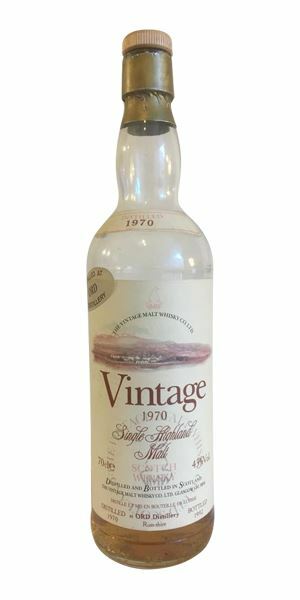 Kicking things off is a light but elegant and illuminating 1970 Glen Ord, bottled for the French market in 1992 by the Vintage Malt Whisky Company. MacRaild believes it to be a classic example of how characterful, and yet so often overlooked, Glen Ord can be. 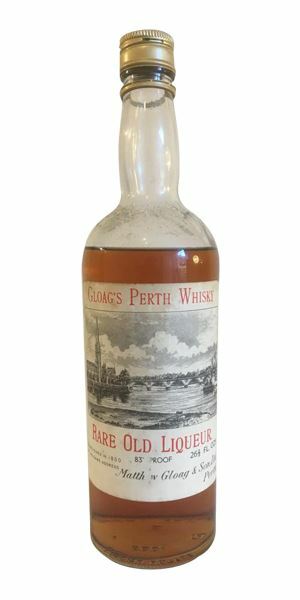 Next is Gloag’s Rare Old Liqueur Scotch Whisky, an unusual and scarce blend from the 1960s bottled at a deeply satisfying and curious 83 proof (47.4% in today’s money) – a strength seemingly favoured by The Famous Grouse blender Matthew Gloag & Sons for a few bottlings at that time. With a high malt, content the bottling is a good example of how blends aren’t always the lightest player in a tasting. 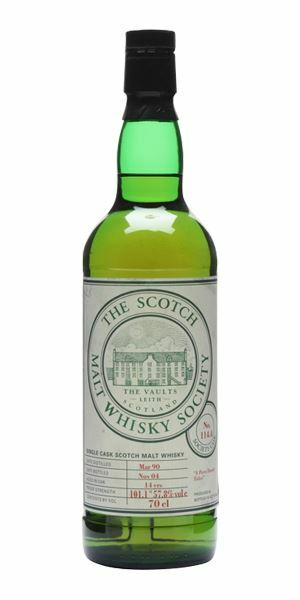 To finish things off, MacRaild has selected bottling 114.4 from the Scotch Malt Whisky Society. A 14-year-old Longrow distilled in 1990 and bottled at a natural strength of 57.8%, it impresses MacRaild with its raw, farmyard and coastal muscle. If there is a common thread weaving these bottlings together, it is that each is a perfect representation of the different types and eras of bottlings which inspired earlier generations of whisky enthusiasts. 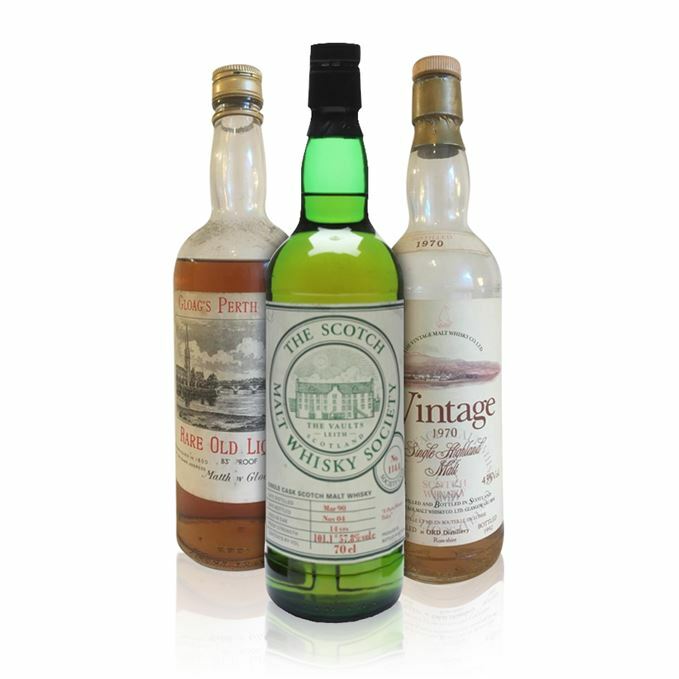 Early independent bottlings for Europe, terrific old blends, the work of the SMWS – each of these played an important role in inspiring and nurturing a burgeoning enthusiasm for whisky in their own ways. One of the most common experiences when tasting bottles from the past is to understand more fully just why people in previous decades came to be increasingly enthused about and fascinated by this ever-enthralling distillate. A smorgasbord of spices, rye bread, some earthy and rancio-rich Sherry, then a little black tea and some aged Boal (Bual) Madeira. A muscular and punchy old blend where the malt component makes its voice heard loud and clear. Although the grain is still evident, it’s a lean, spicy and appley grain aspect which is in perfect balance with some exceptional oak and these muscular, maltier tones. Various fruit jams and denser oily notes all emerge with time. ‘Sooty fruits’ might be the name of this whisky, had it come into contact with the SMWS. Some notes of old orange liqueur, earthy spices, a strong Hot Toddy and saline lick of VORS oloroso. Once again the richness of the malt and spiciness of the grain are in remarkable harmony and concentration, with these deep and echoing dark fruit tones underneath. Becomes camphory and elegantly oily with time. A long, drawn-out, spicy and salubrious scribble of menthols, waxes, orange oil and gingery warmth. Little wonder people go a bit doolally for these old high-end blends. This one is a rare example of a more harmonious balance between grain and malt that has stood the test of time exceptionally well in the bottle. An ode to higher bottling strengths, I’d say. Tossing the capsule to the shadows, you gather round to kick off the party in style. A sharper and more chiselled style than some more contemporary bottlings of Longrow have shown. This is farmier, more brutal, more muscular and more intensely coastal. It’s also a touch dirtier as well. A coal hearth. A cluttered fishing port pier. A sheep fank. A stray rubber tyre somewhere slightly out of view. There are subtleties as well though – notes of fermenting hay, cut grass, cider apples and a rather raw and rooty peat. With water, lighter, brighter and pleasingly lemony. Preserved lemons, black olives and sardines, to be precise. Hessian and sheep wool eventually. A swaying, dung-clad monster lumbers into view. But, after a moment’s trepidation, it turns out to be more BFG than Flesh Lump Eater. Notes of silage, wet earth, tar, diesel oil, creel nets and freshly kilned malt. A bruiser. Some kelp and a lemon juice-subdued oyster drag things back to the shoreline temporarily. Water brings a rough and grizzly mineral quality, with a touch of wax, some peat oils and a swab of Mercurochrome. Long, farmy, salty and earthy. Not unlike a night out in Campbeltown. A brutal, but fascinating and rather excellent Longrow. Of a rather singular style that seems to have been confined to the 1987-1992 Longrows. Pure and classical old Glen Ord, with this combination of wax, hessian, fragrant coastal notes and a little furniture polish and linseed oil. Quinces, honey, damson compôte and a green apple peeling or two. It’s a style which is more readily associated with Clynelish, I’d say, but people often forget that old Ord possessed these beautiful waxy textures in spades as well. More waxiness, some rather luscious green and citrus fruits. Soot, olive oil and an easy mineral edge. Many notes of wild flowers of the white and yellow variety. Some green tea, a touch of dried mint and a little orange blossom. A little sandalwood and pine cone as well. Becomes increasingly resinous, with a herbal edge. Long, lightly earthy and all lamp oil, bergamot and camomile tea, with some hazelnuts and a bay leaf or two as well. It’s a different style of whisky which is rarely to be found these days. When Ord is good, it can really be terrific. This is a textbook example. Giggling at the back of the tasting. Rare Batch 34 14/03/2018 Some well-aged drams from Bruichladdich, Dalmore and Deanston are plucked from the vaults. Rare Batch 32 14/02/2018 Tasting a fascinating ‘70s Aberlour, a historic ‘40s Kilbeggan and a surprising ‘80s Fettercairn.